Congratulations on being accepted to CSUMB! We hope you are as excited about joining us as we are to have you! Now that you've been admitted, the real fun begins. Preparing for your voyage to America and getting everything in order for a successful semester. Not sure where to start? Don't worry, we're here to help. If you are a degree-seeking student, an acceptance packet will be sent to the address you provided on your application. If you are an exchange, Semester@ CSUMB, or NSE student, your packet will be sent to your home university's International Programs office. If you have been accepted but have not yet received your acceptance packet, please contact your home university. 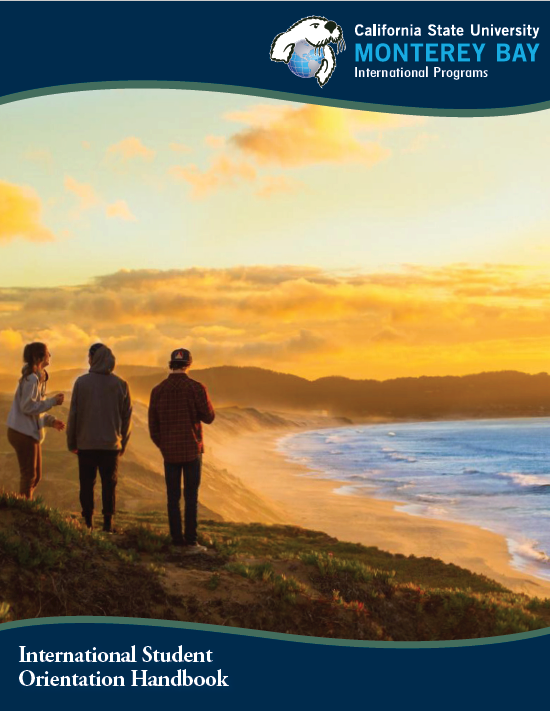 This fee is NOT required for Exchange, Summer, Semester@ CSUMB, or year-long students. For degree-seeking students, this fee must be paid to submit a housing application, enroll in courses, etc. To make it as easy as possible, make sure you keep up with the deadlines. Read this information carefully and make sure that your coordinator, parents, or whoever is assisting you also understands the process. 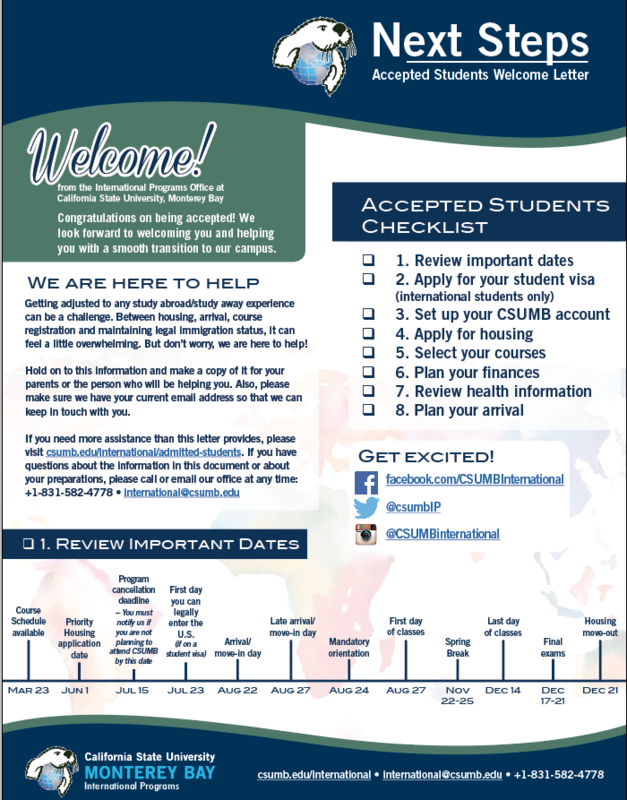 You will receive communication via your new CSUMB email address AND the email address you provided on your application. Please be sure we have your current email address so that we can keep in touch with you.